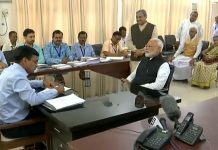 The Bharatiya Janata Party (BJP) on Tuesday released the 10th list of Lok Sabha candidates, declaring 29 nominees for Uttar Pradesh and 10 for West Bengal. The party has swapped seats of Union Minister Maneka Gandhi and her son Varun Gandhi. 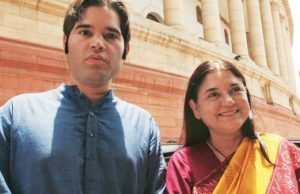 Varun Gandhi, currently an MP from Sultanpur, Uttar Pradesh, will contest the Lok Sabha elections from Pilibhit, a seat currently held by his mother and Maneka will contest from Sultanpur. 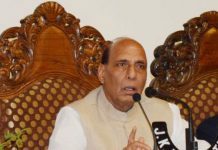 The list was announced by BJP general secretary Arun Singh. He said that Jaya Prada, who joined the party just today, will contest from Rampur. 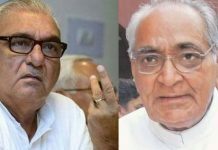 BJP has fielded UP minister Satyadev Pachauri from Kanpur Lok Sabha seat replacing sitting MP and veteran party leader Murli Manohar Joshi. Joshi won from Kanpur in 2014 but was told by the party leadership that he would not be fielded in the upcoming elections.